Halloween is coming! Of course my country doesn’t celebrate it – we just go visit graves and pray. It’s also not a thing in Chinese culture but every year more and more people all over the world want to have some spooky fun. Since my husband and I are some kind of American-parties outcasts we ‘celebrate’ Halloween by introducing you… Hong Kong’s haunted places! Here I really want to thank my husband for staying up so late and help me translating and Mrs. Singer19 who gathered all the stories together. If my manliest of men wasn’t so easy to scare I would travel to all the creepy places in the world. But since every scary movie starts with ‘OK, but I sleep inside‘ it’s quite impossible to get there. He won’t go into haunted mazes and after watching Paranormal Activity he couldn’t sleep for a whole night thinking I will get possessed and try to kill him. As you see – it’s not really for us. Or at least him. But for you when horror movies are not enough to give you a goose bumps you can go out and experience strange energy by yourself. 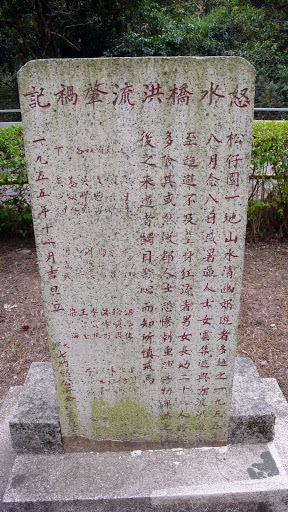 Another place connected to Japanese occupation – they threw bodies out there and now people claim to see ghosts or ‘people without head pushing shopping carts and smelling like blood. I don’t know why but that story made me think of Park n Shop. During heavy rains all the mud comes down and can kill people. Hong Kong teacher claims during one of the days she saw mother and son. Mother was cleaning son’s clothes and face out of the mud but it just kept going out from his mouth. I should start from a legend how this place got it’s name: a bride was being carried in a sedan by four porters on her way to meet her groom in stormy weather. As they passed the pool, one of the porters slipped and the bride fell into the pool and drowned. Besides that there’s a history of a wedding when during a storm all the mud came from mountains and killed all the guests. Their bodies were never found. Some people claim it’s the most haunted and negative place in whole Hong Kong. Once a Canadian businessman Alfred Rennie opened a floral factory (great translation, hubby!) but after few months he bankrupt and couldn’t handle that, in the end he commited a suicide. He put a rope around his neck, the other part of the rope was around a stone and he just jumped to the water. He later was mistaken to died from hanging, not being drowned and people called that place a hanging valley. Long story short: it used to be a mental hospital and later another place where Japanese execute people. People say that it has most negative feng shui in Hong Kong with not only ghost but also ‘crazy ghosts’. It has a Dating/Valentine Road where couple walk around, but people wouldn’t like to go there at midnight. because they might see a girl without a head. She was an illegal immigrant from Mainland China to Hong Kong, she wanted to jump off the train but her ponytail got stuck and her head was just pulled off. Now that’s a mood killer. This school is told to be one of the most haunted: lawn, elevators, even cafeteria and swimming pool. It all started before the school was even built: one of the workes fell down to the hole and passed out. The next day when he was still there other workers didn’t know that and started the construction… Students claim they sometimes can see a liquid looking like blood on the grass or see a man covered in dirt. Next to the elevator a young girl suicide after knowing she’s pregnant. Moving to cafeteria: from that place you can see a swimming pool, where young man died. He was ‘seen’ by some students, even thought the pool should be closed, later they insist to cover the window. Near the dorm there’s a ‘cursed statue’ – everyone who touches it will be cursed as well. People who didn’t believe it and wanted to destroy the statue or didn’t show respect to it got killed or died. Sure, like without touching it you were immortal. Legend about this place is so famous that even my husband knows it. Every few months you hear about another suicide there – you can rent a house next to beautiful beaches, barbecue… and suicide with your whole family. My only question is – why they still rent out those places? 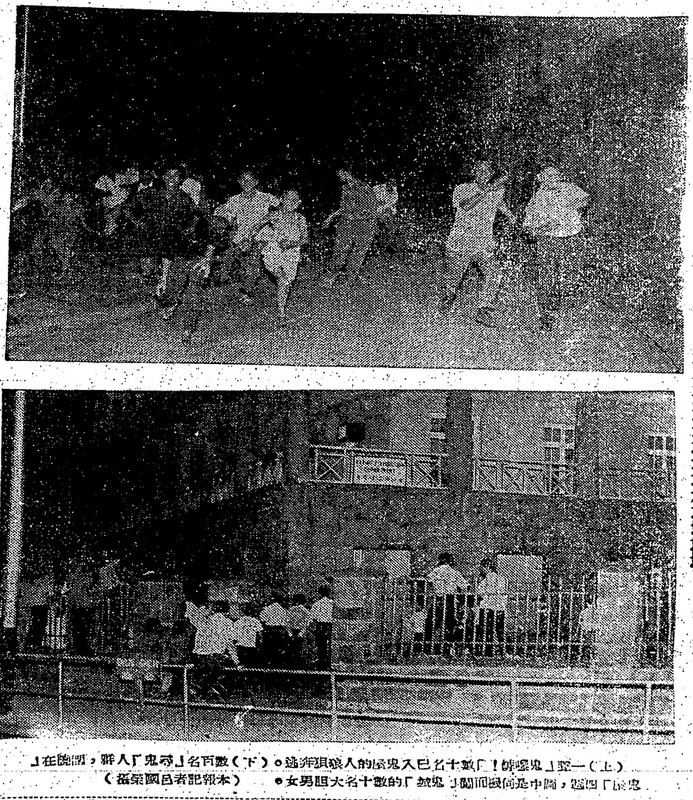 Later in August 1955 group of teachers and students from St. James Primary School were having school picnic at Tsung Tsai Yuen. A unexpected rain came, so they seek shelter under the bridge, but most were washed away to the lower course of the river by a sudden landslide. 28 of them died with only few alive. People keep seeing the ghosts, bus drivers take invisible passangers and – personally my favourite – Hong Kong singer, without a name of course, seen a boy and a girl, help them to get out of there, took a photo since they got along… and 10 years later looking on a photo she noticed the little couple got older in it. Seems legit. One of the buildings was converted into barracks used by Japanese soldiers during the war. After defeat many of them decided to suicide rather than just give up. People today claim they can hear footsteps or hear a march but they also say ghosts don’t affect people’s daily life beside making a noise or seeing a shadow. How nice of them. There used to be an antibomb shelter, but one day someone or something blocked the way out, there was no exit and all the people trapped there died. Some of the security guards see on their CCTV wandering people during the time no one is suppose to be there or hear footsteps. Personally I love horrors – both reading and watching them but I don’t really believe in ghosts stories even thought in my friend’s old flat both of us experienced weird things: someome tried to open the doors but when we looked out there was no one outside and you couldn’t hear anyone walking. And believe me – even if there was someone breathing you could hear it. Later during the night we heard small things falling down and old radio started to play music. I never had a sleepover at her place again. Still I keep telling myself it was just a weird coincidence. Do you know any other haunted places in Hong Kong? Have you been to any? Or maybe you know some scary places in your area? Share your any spooky experience! And happy halloween! Nice post, a very good list. 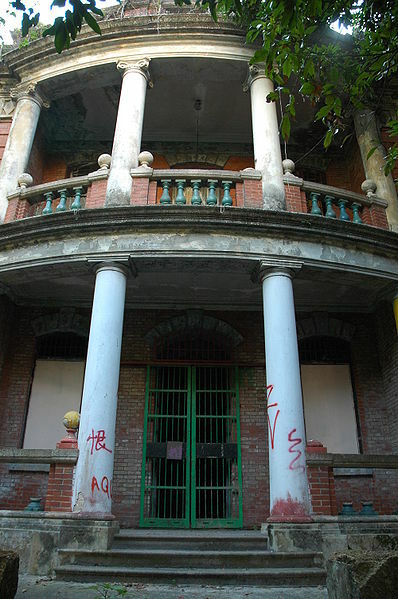 I have been to Po Toi Island, and there is a dilapidated old house/mansion (the Wu House), which is supposedly haunted. Po Toi Island use to be an old pirates hangout…pretty interesting place. Creepy! Must visit for Halloween. Btw, new reader here. Hope you can comment on my blog too. Didn’t know that Pacific Place is haunted. I guess places where workers die of accidental deaths are almost always haunted. There’s a haunted place along Nathan Road, TST that you missed – it was gutted by fire killing a lot of people – it’s now converted into a hotel! Fancy staying there? Happy Halloween, babe! Ooo, I didn’t know other countries went to graves and prayed for Halloween. I thought it was just a stupid American fake celebration. I still use it as an excuse to eat chocolate but it’s my least favourite celebration of them all. It sounds like Hong Kong is full of scary places. I’ve never seen a ghost, but I keep an open mind. Life is full of mysteries. Thanks for sharing this, a really interesting read! The Mong Man Wai building at CUHK is apparently a notorious suicide spot for students. A friend told me that if you take the central elevators at midnight, sometimes you’ll see a ghostly girl riding the lifts up and down with you. And that’s why I always took the stairs on my way back to my room! My husband LOVES scary places. As soon as he sees this list, he’s going to want to go to Hong Kong. I’ll save it for someday when we do. And then I see this on the BBC…. spooky HK is trending! I love urban legends and history of spooky places! Very interesting ghost stories…because of the element of local war stories as well as natural disasters (mud slides) which one may not find in ghost stories in Canada. I don’t know about a real one, but I know there’s an attraction over at Universal Studios Japan. It used to be bigger, but I think got smaller when Harry Potter Land took over a huge part of the park. but I know USJ Halloween events in the evening are pretty awesome! The only ghost you see is the one in your mind.